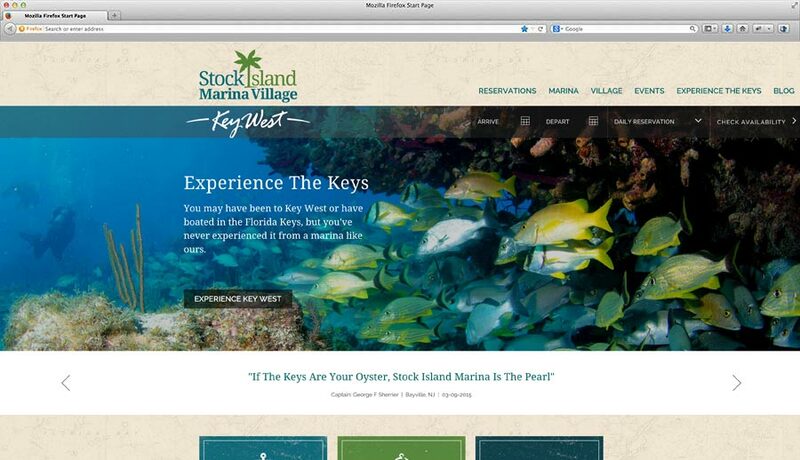 Bricks & Mortar Creative has just signed with a new digital partner, Stock Island Marina Village. Stock Island Marina Village is a newly developed marina, just beyond the noise and crowds of world famous Key West, Florida. A pioneer on the developing forefront of the rustic Stock Island, Stock Island Marina Village is redefining the boater experience with an unparalleled level of hospitality and service. As Destination Experts and Experience Providers with guests as the highest priority, Stock Island Marina Village is the best marina in South Florida. As digital partners, Bricks & Mortar has been tasked with responsibilities including all website maintenance, content publication and updates, creation of new website code, creation of website templates, creation of custom WordPress post types, creation of graphics and branding materials, general online strategy and direction and much more. Our goal for Stock Island Marina Village, along with all of our digital partners, is to ensure they will need to spend as little time as possible managing their web presence, so that they can focus their time and energies on actually running their business. We work as digital partners with clients of all types, representing various industries, and all with very specific needs and requirements. If you’d like to speak with us about how Bricks & Mortar Creative could potentially work as a digital partner for your company or organization, feel free to email us at info@bricksandmortarweb.com.